Since the Seismic events of 2010/2011 and beyond, BBR Contech have developed a successful working partnership with Pile Master Ltd levelling foundation slabs for both residential homes and commercial businesses in the Canterbury region. There are a number of reasons foundations no longer support a structure and fail, be it design flaws, change in use, adjacent soil changes due to construction or natural causes such as earthquakes, flooding or drought. Ultimately, where practical, foundations require remedial work to stabilise surrounding soils and relevel the existing structure. 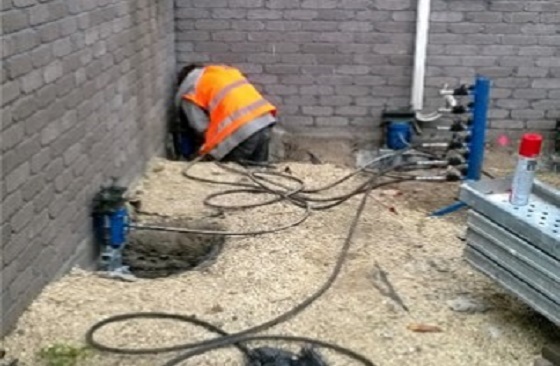 Pile Master Ltd frequently undertake projects where underpinning or strengthening of existing foundations is required and in many instances, particularly within the greater Christchurch region, relevelling is also necessary. This underpinning process can be used to lift perimeter foundation back to level but in doing so a void is created. Subsequently the internal slabs will also need lifting to level and BBR Contech carry out this part of the project using underslab grouting techniques. Cement grout is injected in a controlled manner under the slab area gently lifting the floor back to level while simultaneously filling the voids and consolidating the subbase. This technique has proven extremely successful over the years and we look forward to many more similar projects as we assist Canterbury during this recovery period.